Preheat the oven to 350 degrees F. Line a sheet pan with foil or parchment paper and set 6 10oz ramekins on the lined baking sheet and set aside. In a large bowl add the orange and lemon zests and juices along with the sugar, cinnamon and nutmeg. Stir gently to combine. Now peel, core and cut the apples into wedges making sure to remove the core completely. Add the apple wedges to the large bowl and toss to coat the apples completely and allow the flavors to combine while preparing the topping. Next make the topping by combining the flour, granulated and brown sugars, salt, oatmeal and cold diced butter in the bowl of the stand mixer fitted with the paddle attachment, Combine just until the mixture is mixed but crumbly. Stir the bowl with the apples to coat evenly and then distribute the apple mixture evenly into the individual ramekins about ¾ full. 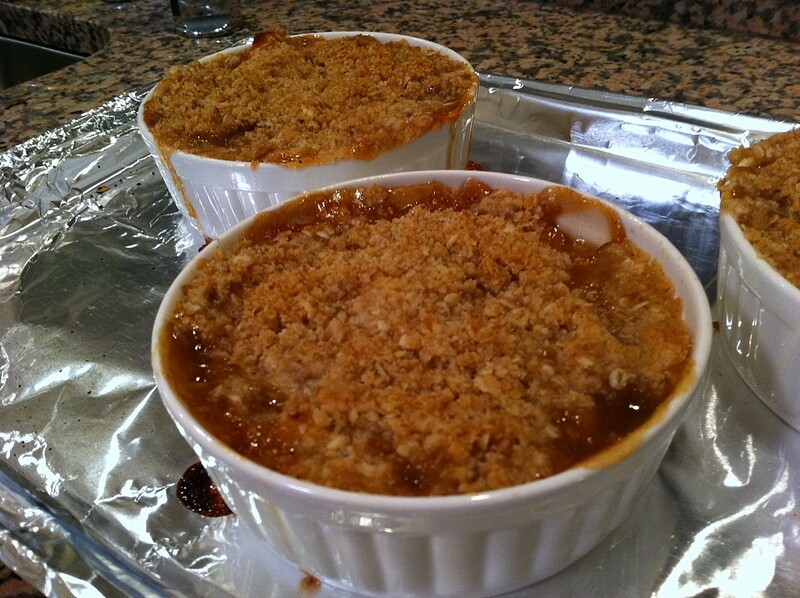 Then add the crumble topping over each apple filled ramekin. Bake for 45 minutes to 1 hour until the apple crisps are bubbly. 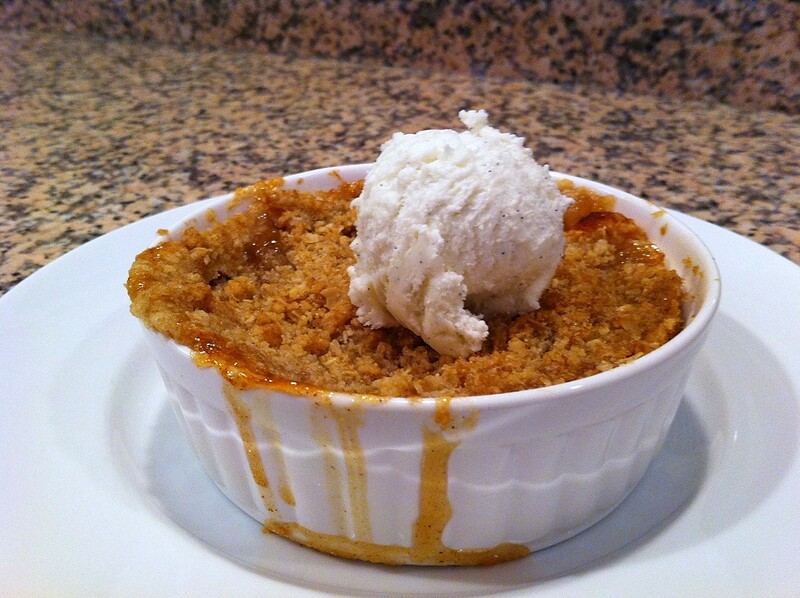 Allow to cool for 10 minutes then serve with a scoop of vanilla bean ice cream.